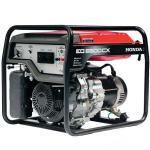 Honda EU70is Inverter Generator - converted to 32amp outlet plug. 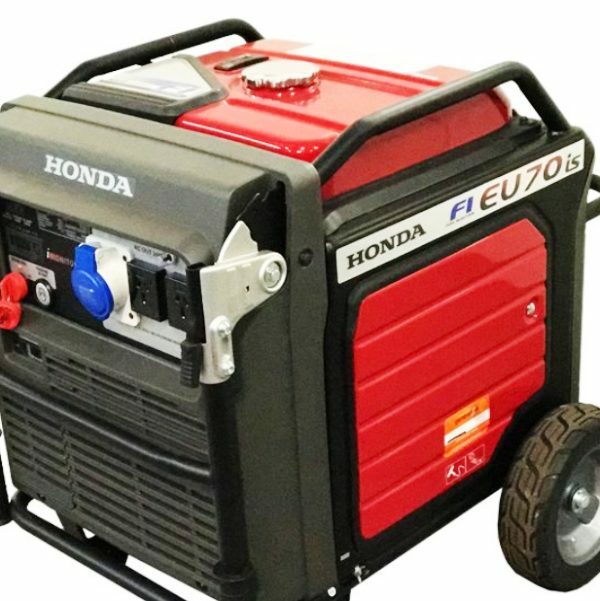 Honda EU70isu 7.0kVA Push Button Start Inverter Generator with 32amp outlet plug. 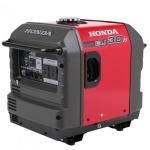 The Honda EU70is incorporates a micro-chip controlled sine-wave inverter to ensure electricity of perfect quality and overload warning, plus low oil alert. The standard version has x3 normal 230v 3 pin 15amp plug outlets. This version has been converted to x1 32amp caravan style outlet, with x2 standard 3 pin plugs on their own separate circuit breakers. 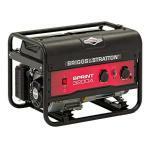 The ultimate in clean power, in a larger inverter generator format. The EU70is now has fuel injection and increased capacity. These units use the same cutting edge technology as the small, compact EU series inverters, but with a greater power capacity. The EU series are extremely quiet running, with super-low emissions and awesome fuel efficiency. 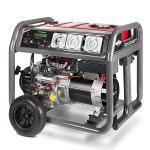 Ideal for back up home power supply, farm situations, construction and builders, camping, caravans, motor homes, house buses, boats, computers. Can easily run any appliance with delicate electronics. Fitted with x1 32amp Caravan style plug outlet available + x2 230v 3 pin 15amp plugs. Allow an extra 7-10 days delivery time as these need to be specifically converted to order by Honda certified specialist. Newsletter Subscribe for great deals! © 2018 Wright's Outdoor Equipment All Rights Reserved.